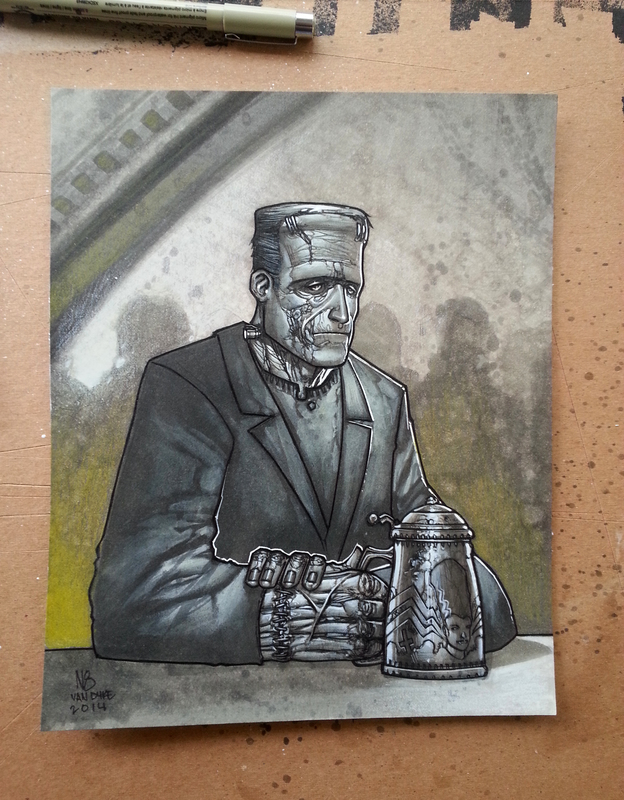 This entry was posted on October 31, 2014 at 8:23 pm and is filed under Uncategorized with tags art, beer, Frank 'N Stein, Frankenstein, Halloween, mixed media, N8, N8vandyke, nate van dyke. You can follow any responses to this entry through the RSS 2.0 feed. You can leave a response, or trackback from your own site. True nature captured: Not scary but sad and alone. Love the fingernails! Victor’s son alien costume….terrific. The little girl probably wanted to be a princess.